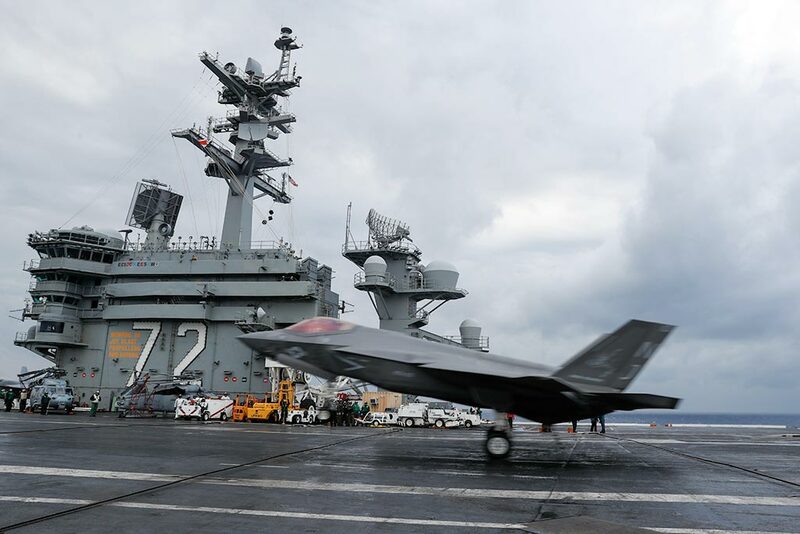 The Nimitz-class aircraft carrier USS Abraham Lincoln (CVN 72) completed fleet carrier qualifications (CQ) for the F-35C Lightning II program, marking another milestone for the new aircraft, while underway March 17-21. 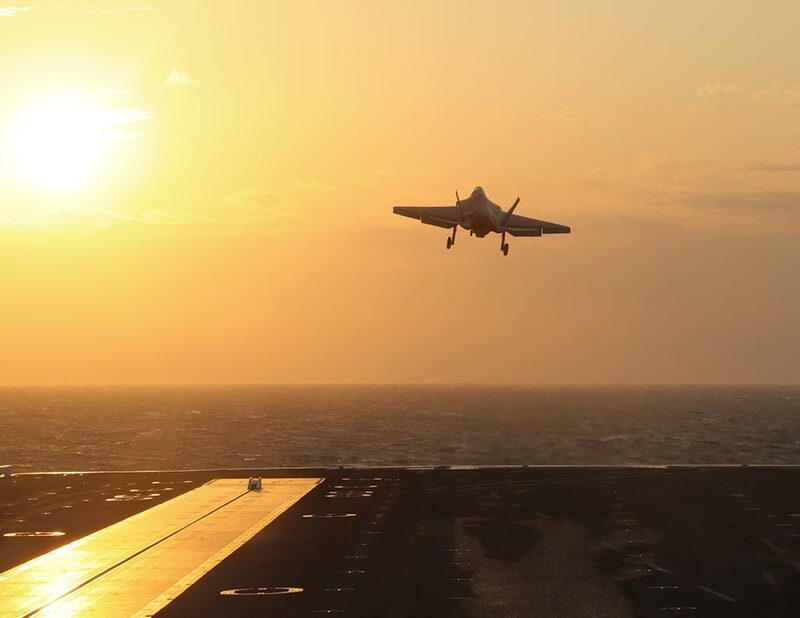 Pilots assigned to the “Rough Raiders” of Strike Fighter Squadron (VFA) 125 and the “Grim Reapers” of VFA 101 accomplished day and night qualifications with 140 traps in anticipation of F-35C operational testing later this year. Aboard for part of the CQ was Rear Adm. Dale Horan, director of the U.S. Navy F-35C Fleet Integration Office, who was previously embarked aboard Abraham Lincoln during a nine-and-a-half-month deployment in 2002. The F-35C complements the tactical fighter fleet with a dominant, multirole, next-generation aircraft capable of projecting U.S. power and deterring potential adversaries. The continued integration of the F-35C into the carrier air wing will enable the carrier strike group of the future to be more lethal and survivable in high-end threat environments. One of the major milestones for this carrier qualification evolution was the operational use of the F-35C’s foldable-wing feature. This feature is a critical component of the integration of F-35Cs with F/A-18C Hornets, F/A-18E/F Super Hornets and EA-18G Growlers, facilitating the movement of the different platforms on the flight deck and rehearsing for operating as part of a full air wing aboard the carrier. Another important piece of this underway period was the continued integration of the F-35’s Autonomic Logistic Information System (ALIS) with Abraham Lincoln. ALIS is a secure, off-board fleet management tool that integrates F-35 mission planning, maintenance, supply chain and sustainment information. Operators were able to plan, maintain, and sustain F-35C systems by transmitting up-to-date data to users and maintainers worldwide. During Abraham Lincoln’s previous F-35C Fleet Replacement Squadron (FRS) carrier qualifications in December of 2017, an operational squadron accomplished the use of the Joint Precision Approach and Landing System (JPALS) for the first time. The GPS-based, all-weather landing system works to provide accurate and reliable information for carrier landing approach, allowing F-35Cs to land during inclement weather. By 2025, the Navy’s aircraft carrier air wings are scheduled to consist of F-35Cs, F/A-18E/F Super Hornets, EA-18G Growlers electronic attack aircraft, E-2D Hawkeye battle management and control aircraft, MH-60R/S helicopters and carrier onboard delivery logistics aircraft.